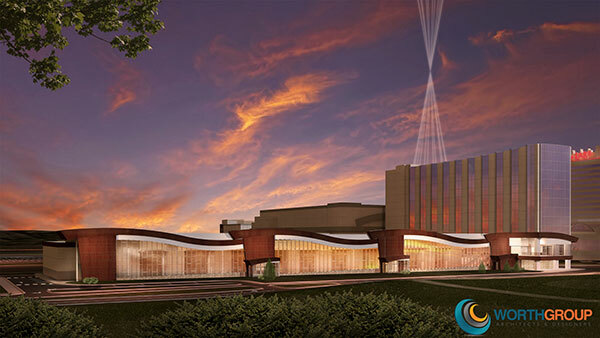 The Shakopee Mdewakanton Sioux Community Gaming Enterprise (SMSCGE) broke ground on Mystic Lake Center, a 70,000-square-foot meeting facility and a new 180-room hotel tower attached to the iconic Mystic Lake Casino Hotel, in early May. SageGlass, the pioneer of the world’s smartest electrochromic glass and dynamic glass technology, will install more than 11,000 square feet of dynamic glass on the western façade of Mystic Lake Center, slated to open in late 2017. SageGlass, a product of Saint-Gobain, was chosen for its state-of-the-art electrochromic glass technology that controls sunlight to optimize daylight, outdoor views and comfort while preventing glare and heat gain without the need for blinds or solar controls. This feature is one of many advanced technologies incorporated into the project. Visitors who plan their events at Mystic Lake Center will enjoy unobstructed views of the surrounding landscape and access to natural daylight. “We are glad to be able to use a local company that has such an innovative product for our unique space,” said Angela Heikes, President/CEO of the SMSCGE.